Marc H. Miller recently passed along word about the latest edition to Gallery 98, the online store for the 98 Bowery website. 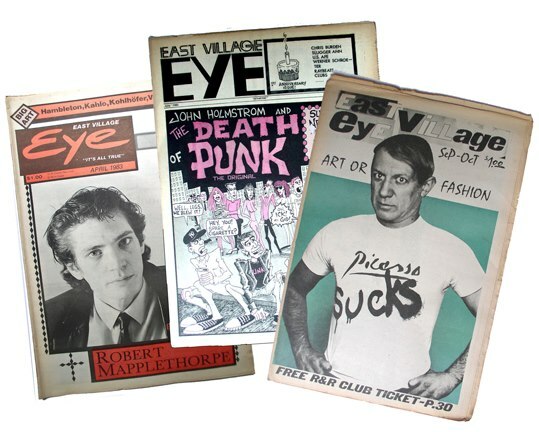 Miller has obtained a nearly complete set of the East Village Eye, the influential arts newspaper/magazine hybrid that published 72 issues from May 1979 through January 1987. So I thought this might be an opportune time to interview Leonard Abrams, who was 24 when he started the Eye in early 1979. 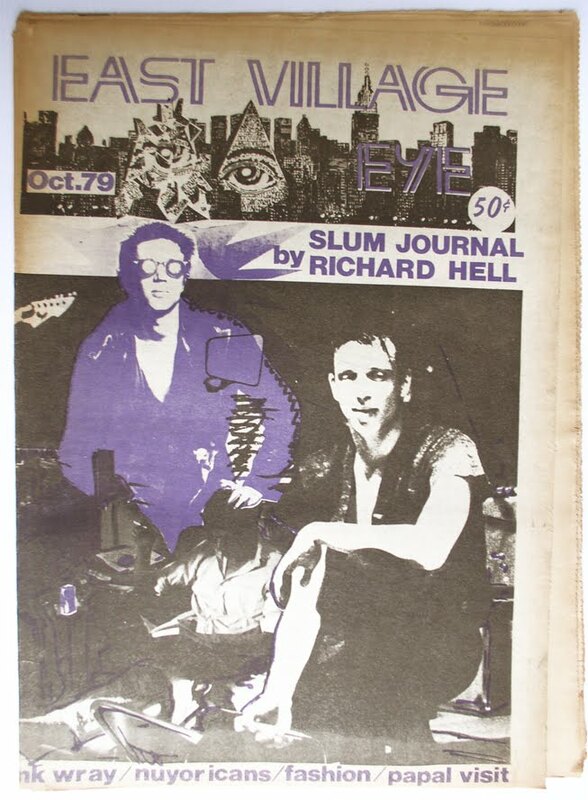 With an array of unpaid contributors, including Richard Hell, Cookie Mueller, Glenn O’Brien and David Wojnarowicz, the Eye wrote about the neighborhood's emerging art scene as well as provided ample music coverage. His post-Eye career included opening Hotel Amazon, which brought warehouse-style parties to a former LES school featuring, among many others, De La Soul, Public Enemy and the Beastie Boys. 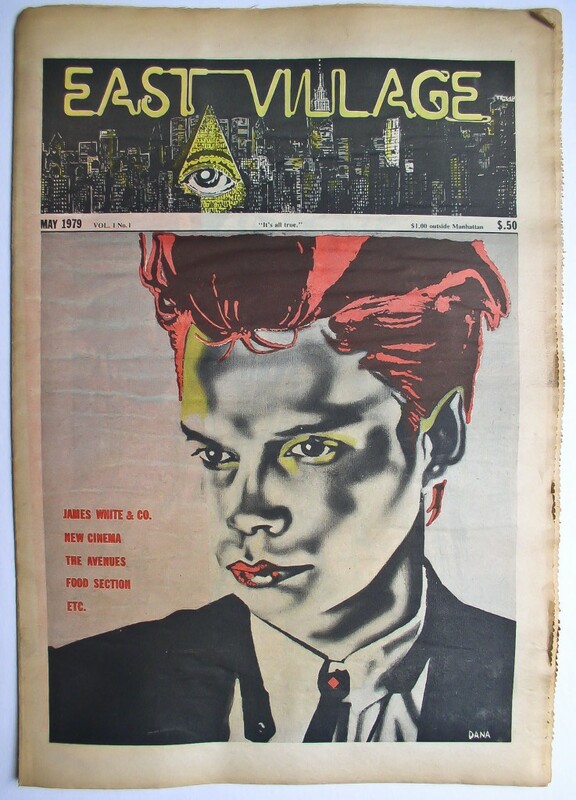 You were 24 when you launched the Eye in 1979. Being pretty young, were there any issues with people taking you seriously as a publisher at the onset? People thought I was older. Then after the Eye folded they thought I was younger. Actually at the time a lot of people in the scene pretended they were younger so as not to be thought of as hippie interlopers. 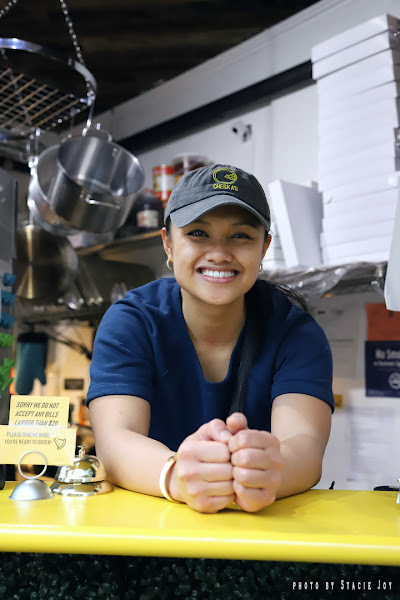 But as I recall, there was such a feeling of newness to what we were doing that no one seemed to feel they could pull rank on the basis of age. And finally, I think that people take longer to get going these days. 24 isn't really that young. I started a paper in Denver when I was 21. That was young. Did it seem as if you were onto something special at the time with the Eye? Oh yes. I really felt the weight of it at times. 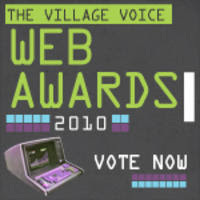 In fact I probably would have pulled the plug a lot earlier but that I felt it was too important not to keep doing it. It's not that we were saving lives [we probably cost a few] but just helping sustain an atmosphere where people could feel so much was possible was very important. And feeling we were remapping the brain was heady, as it were. What was a typical scene like at the Eye office? 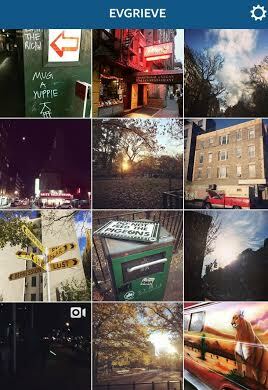 We started at 167 Ludlow then moved to I think 54 East 3rd Street then to 120 St. Marks Place then to 605 East 9th Street then to 611 Broadway. A typical scene was me fighting with music editor and typesetter Celeste-Monique Lindsey over something political and/or inconsequential, people coming in for their mail or to pick up a copy, us on the phone trying to get everyone to hand in their stories on time even though they were writing for free and, the last week of the month, a frenzy of editing, typing and pasting-up. Kind of stuff that seemed more fun after it was over. Do you think something like the East Village Eye could work today (print or online) or do you think the days of any kind of scene here are long over? The physical limitations of distribution make a difference too. We sent the Eye out all over the country [in a limited way], but I think text is taken more seriously 1) when you have to pay for it and 2) when there isn't so much of it around. 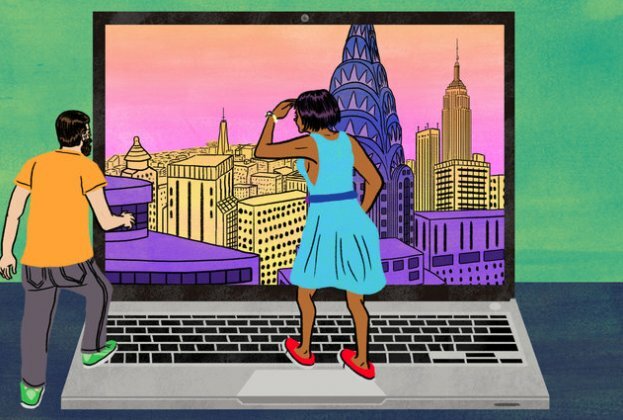 Still, the kind of scene there was at the time was based on a lot of people doing things out of their own need for self-expression, and now, at least in New York, we have a regime in which hierarchy and monetization, the antitheses of creativity, are the starting points. Thus we need to convince Mayor Bloomberg to immolate himself. While we wait for that to happen, someone should step up and print something. How about Hotel Amazon? Do you think a space like that could work today on the Lower East Side? I'd like to see one. Especially since a lot of the spaces in the neighborhood are staffed by clueless snotnoses. But what do you expect? It's the club industry. When Hotel Amazon started I was fairly clueless myself, I was just lucky to be around when hip hop was fresh and generating tons of great acts all the time. The other problem is the great increase in legalism and regulation. The Hotel Amazon was illegal in all kinds of ways. Otherwise it would never have happened. But look at Rubulad. They still manage to throw a bash. What are you most proud of with the Eye? I'm most proud of having gotten so many of them out. 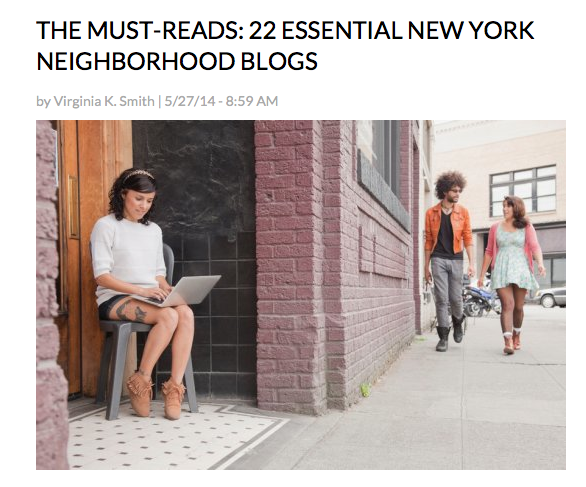 And hearing someone say something like "I moved to NY because I read the Eye in my home state." I was gratified to have published columns by David Wojnarowicz and Glenn O'Brien and Cookie Mueller and Richard Hell. And to have been told that the term "hip hop" was first printed in the Eye. And to have presented so many idiosyncratic voices in such a deadpan manner, as if what they said was as obvious as the weather. That was fun. LOVED this. i had no idea the term "hip hop" was first printed in the Eye! Great interview and I loved seeing the John Holmstrom "Death of Punk" cover. I'm hoping for the PDF online thing to happen! This is really great stuff. You're really knocking it out of the park lately, Grieve! Kudos! Leonard! Great to hear from you. You had a great run there, my man. 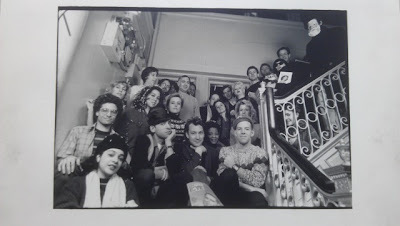 And that photograph on the staircase at 611 Broadway brought back tons of memories. Leonard Abrams and Spencer Rumsey published my first photos ever from Nicaragua in 1983. No that's hyper local reporting. James Chance was a great choice for first cover. 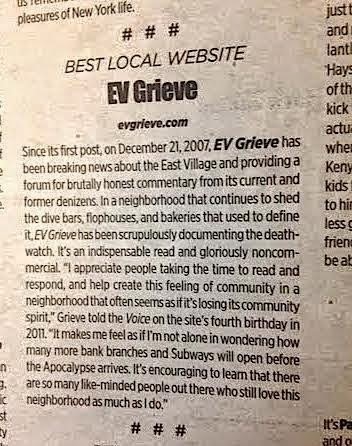 It was great to meet you at that art show the other day and an honor to hear your story about the East Village Eye and then to read it here on EV Grieve.